On Christmas Day I announced on social media that myself and my boyfriend Paul are going to having a baby! We are so overwhelmed with joy and excitement for our little girl to come into the world in a few months time and it was about time that I shared the news on here. Although it came as quite a shock, we have had a good few months to get our heads around it. I feel so blessed to able to bring a child into the world and I am falling more in love with her every single day. I want to take the time to wish everyone a Happy New Year and apologise for my lack of posting on here and on Instagram, it’s been a crazy few months filled with so many experiences that I can’t wait to write about. My pregnancy up to this point has been far from easy but I’m hoping that sharing my experiences may possibly help others in a similar situation. To start off my new ‘Baby’ blog post category I wanted to start at the beginning and go back to October 2017 and an evening with friends that I don’t think any of us will forget. Finding out that I was pregnant was one of the most frightening yet hilarious experiences of my life and that was because I was in the company of three of my very best friends Ellie, Sarah and Stacey. We had planned a night in at Stacey’s in Manchester and I had been looking forward to it for weeks, we had everything planned for a big catch-up, some drinks and a takeaway and I was so excited to see everyone! I was a week away from having surgery on my Cervix due to being diagnosed with Cervical Ectropion/Erosion at the beginning of 2017. I had been told by medical professionals that I would struggle to conceive a baby without any treatment so for me, the last thing that I was thinking about was the possibility of becoming a Mum. Although I had been having period pains I hadn’t had a period for nearly five weeks, so after talking to the girls on the train I decided to buy a pregnancy test when we got off in Manchester. I had struggled with irregular periods for over three years due to the problems with my Cervix and obviously, the probability of it happening was very slim. We went to the Sainsbury’s Local near the station and I picked up my bottle of wine for the evening ahead and a ‘Sainsbury’s Own’ Pregnancy Test. As soon as we arrived at Stacey’s flat I went straight to her toilet to get the test done. 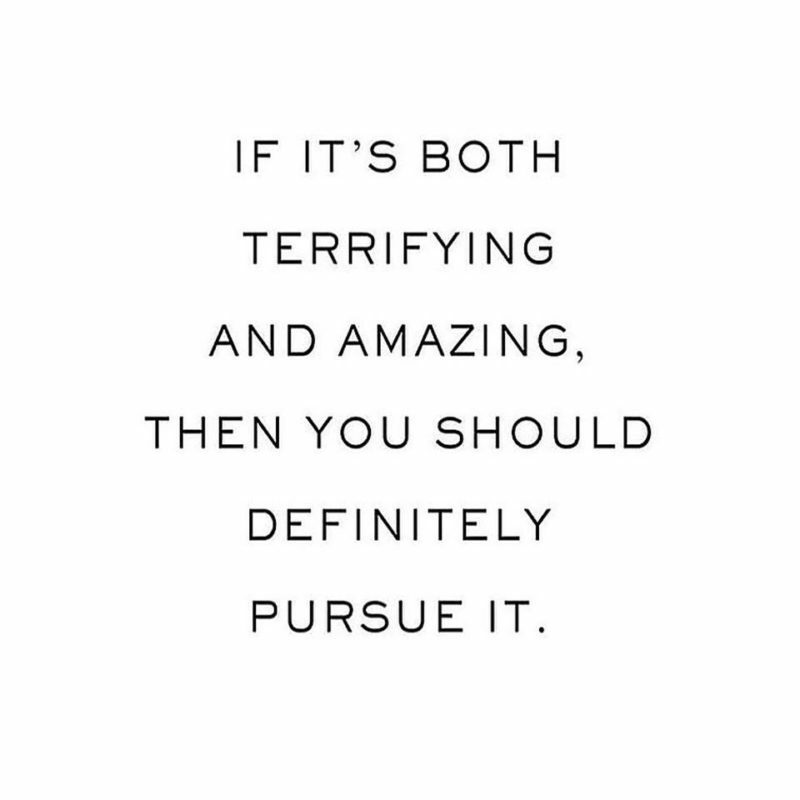 At this point there was still not one part of me that thought it could have been a positive result, I had done a few pregnancy tests over the past year to rule it out and all of those had come back as negative. I waited three minutes by myself in the bathroom to see two lines on the screen, I had left the box and the instructions in the front room so I walked through to where Stacey was stood holding the instructions. She must have been joking – that was my initial thought. But as I glanced around the room at everyone’s faces I knew that it must have been true, I looked for myself it was clear as day. All four of us didn’t know what to say, I was in complete disbelief and completely disregarding what had just happened. Surely this ‘Sainsbury’s Own’ test couldn’t have been right? It was less than a fiver, it must have been a faulty batch, this couldn’t be happening. We all grabbed our coats and out we went in the cold and rain to another Sainsbury’s to buy a luxury £17.00 Clear Blue test. I remember the girls all saying they would chip in money like we were fifteen again and going halves on a bottle of cheap vodka. I went ahead and bought it myself whilst the others went and bought more alcohol to drink to calm their nerves. When we got back to the flat I was still sure it had the be a faulty test but you really can’t say no to a £17.00 high tech digital test that said “Pregnant. 3-4 weeks” on it. You really don’t put yourself in a position to think about where you will be and who you will be with when you find out such life-changing news. In the movies it’s all romantic with the couple being engaged/married and both in the space place at the same time when they find out the news – for me it was definitely more of a Bridget Jones moment of complete panic surrounded by my friends who thought a crate of Blue WKD would solve everything. There I was in Manchester in my best friends flat, two hours away from my boyfriend who was on a night out at home completely unaware of what was happening. I felt about a million miles away from him. I couldn’t think or speak about what was happening, I had so many scenarios and thoughts running through my mind all at once. The girls did their very best to try and lighten the mood but I genuinely felt numb, I didn’t feel anything. I knew that I couldn’t tell anyone, not even my Mum until I had seen and told Paul. After a very sleepless night and a completely dazed shift at work Paul picked me up from the train station, I had sat for the entire train journey trying to figure out how to put into words what was happening. I thought that if I planned and rehearsed it that it would have been so much easier to say and make some sense of but as soon as I got into his car he could see that something was wrong. That was the first time I could cry and god did I cry, I had held back my tears throughout my entire day at work even though I was a ball of anxiety. I don’t know why I was so frightened to tell him, I had known for nearly 24 hours and couldn’t really make any sense of what was going on so there was no way to have known what his reaction to the news would have been. He was the first calming and reassuring voice that I had heard and he kept telling me that everything was going to be fine, hearing those words from him definitely helped me but my head still felt like it was going to burst. Within two days we were sat in the Early Pregnancy Unit at the hospital for a scan, it didn’t feel real until we saw it. Just a tiny black dot on a screen, so small that you couldn’t even see a heartbeat but we knew it was definitely something. 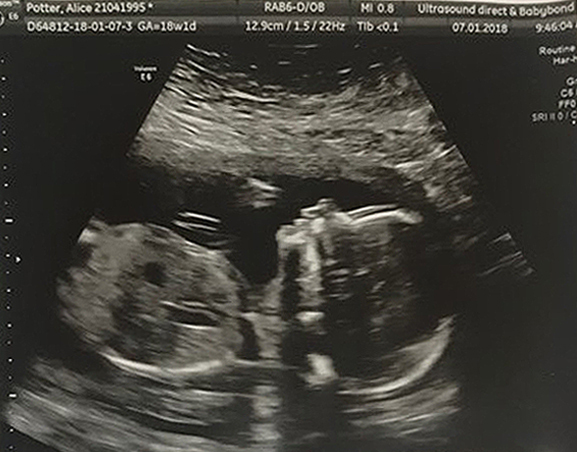 We then had two weeks of patiently waiting for the next scan to see if this dot had grown and developed in that time, those days of waiting were not so easy. Unfortunately, my close family members have miscarried a number of babies in the past so I tried my best to prepare for the worst possibility. After an anxious wait we saw our little dot once again but this time it had grown, I will never forget the feeling of seeing that heart beating on the screen. Happiness. For the first time in two and a half weeks I was beaming and so was Paul. It was that day that we decided that this little dot was going to be our future and our hearts got a little bit bigger. So here I am sat here at 20 weeks pregnant with a healthy little girl wriggling around in my stomach completely putting me at ease. You can never guess what the universe has planned for you and part of me feels like if we had tried to have a baby that it wouldn’t have been as simple. I don’t think any person from any walk of life isn’t scared half to death at the thought of becoming a parent, you can prepare yourself in every way possible and still not know how you’re going to care for something so precious. Falling pregnant against so many odds will always be a complete miracle but also a sign that maybe now is the right time for this to happen for us, even if we didn’t quite know it ourselves. I’m so excited for the adventure ahead for the three of us as a family and I’m looking forward to sharing little snippets of our journey with you all as our baby continues to flourish. "CRY BABY CLUB | DUCFS PROMOTIONAL SHOOT"
"LUSH COSMETICS – VALENTINES DAY COLLECTION 2018"